I just love this little guy. 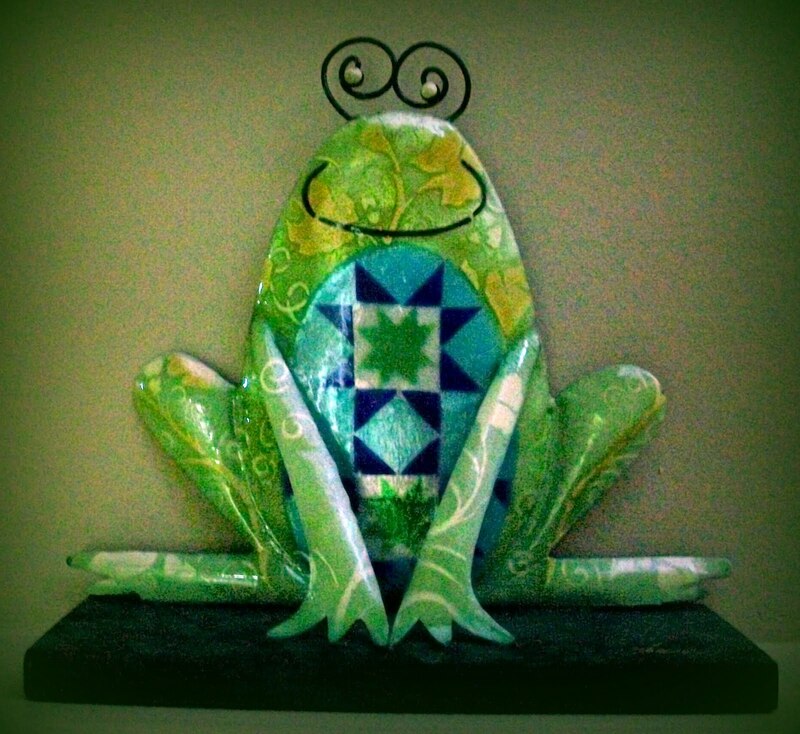 I was lucky enough to see him at Homesense and knew I had to have him. 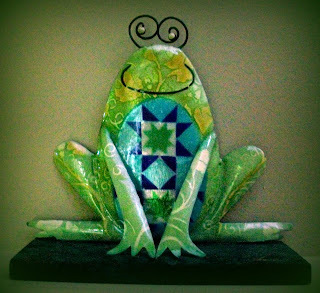 What would be the chances of an avid quilter, shopping at Homesense and finding a little frog complete with a quilt block on his chest...it had to be a million to one...it was fate! He now proudly sits in my sewing room.